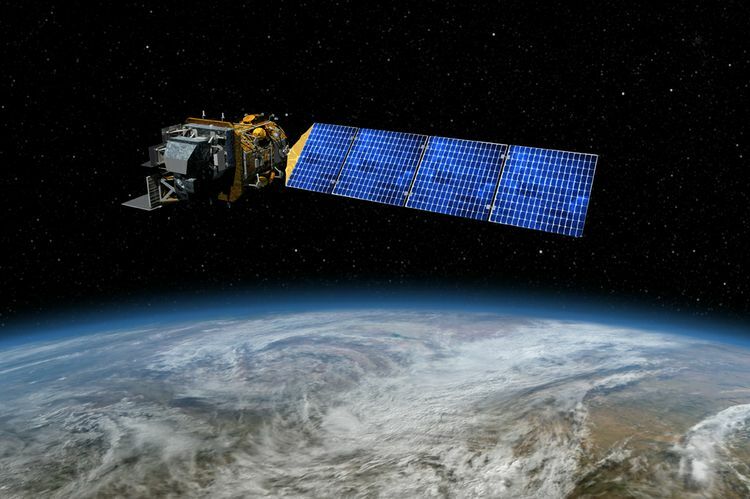 On February 11, NASA’s Orbital ATK-built Landsat 8 remote sensing satellite celebrated its fifth year in space. The satellite, built on the company’s flight-proven LEOStar-3 platform, regularly acquires more than 700 scenes per day, increasing the probability of capturing cloud-free images. Landsat 8 is preceded by seven other Landsat missions, and is operated by the Department of Interior (DOI) United States Geological Survey (USGS). The satellite uses two on board instruments to observe the Earth’s land surfaces, collecting multi-spectral land images, including infrared. The Operational Land Imager (OLI) collects land-surface data in the visible, near-infrared, and short-wave infrared spectra, and features two new spectral channels: one for coastal and aerosol studies, and another for cirrus cloud detection. The Thermal Infrared Sensor (TIRS) collects data for two longwave (thermal) spectral bands simultaneously that are not imaged by the OLI. Artist rendering of Landsat 8 in orbit.? Landsat satellites provide useful imagery for those who work in fields such as agriculture, forestry, education and regional planning. Additionally, data from Landsat is crucial for disaster relief. Landsat 8 continues the more than 45 years of global data collection and distribution of images of the Earth’s continental surfaces by the Landsat series of satellites to provide essential information to help land managers and policy makers make wise decisions about our resources and our environment. This data constitutes the longest continuous record of the Earth’s surface as seen from space. Learn more about the program here. Orbital ATK has a long history with the Landsat program, having built Landsat 4, 5, and 8. Today, Orbital ATK is currently building the spacecraft’s successor, Landsat 9, targeted for launch in late 2020. This satellite will allow the continuation of global terrestrial imaging by extending the Landsat series of satellites to more than five decades of operation. 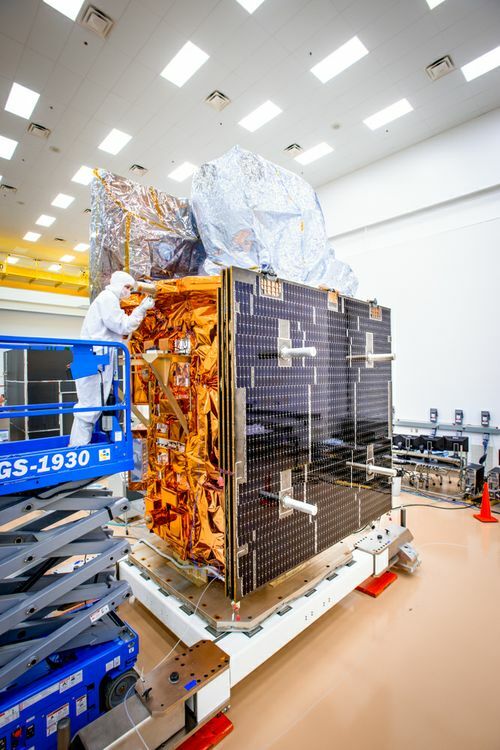 Landsat 8, pictured here prior to its February 11, 2013 launch, was designed and built at our Gilbert, Arizona, facility.